Help us bridge the digital gender gap in STEM! Ingenium – Canada’s Museums of Science and Innovation is pleased to host its first Wikipedia Edit-a-thon in celebration of the International Day of Women and Girls in Science. 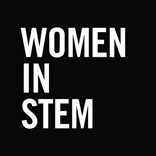 Sign up and join us to edit, add or translate Wikipedia entries for women in STEM. We’ll provide you with a crash course on Wikipedia editing (and food! ), and in turn, we’re asking you to edit for a good cause. Spaces are limited; register online now! Learn more about Ingenium’s Women in STEM initiative!